This kitty is looking for a new home, due to her parents being placed in Assisted Living after recent illnesses, and no longer being able to care for her and her sister, Kit Kat. 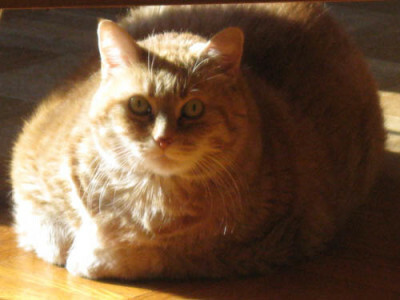 Elsie has orange, short hair, is very sweet but overweight. She love sitting on laps. She only eats dry food but tends to overeat. She is 11 years old. Has good litter habits and gets along with other cats. Clawed but does not scratch. Please contact Erich Harper at 630.792.0936 if you believe that you can give either Elsie or Kit Kat a loving forever home.